Are you running the proper way?? 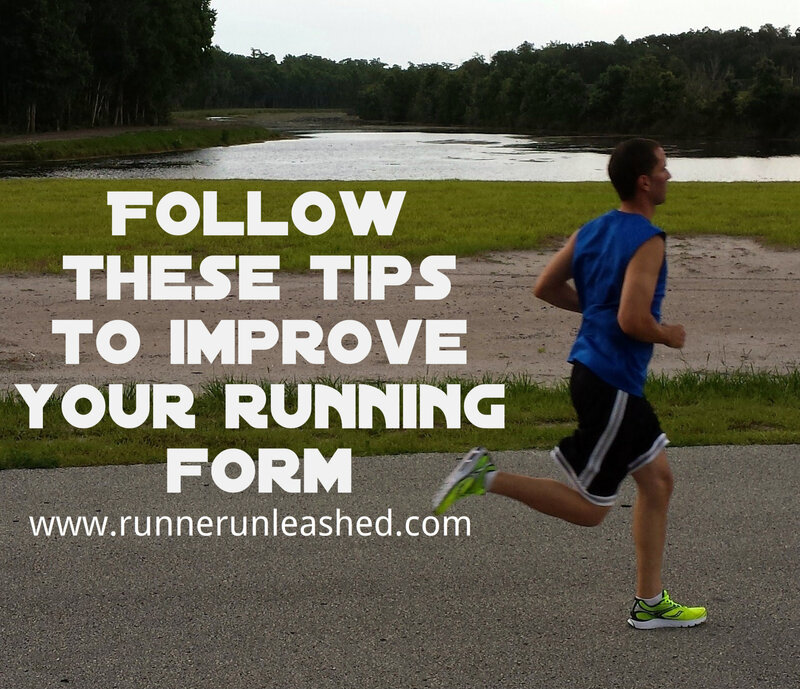 Having the proper running form will affect the way you perform in a race. If you are running wrong, it will lead to pains, strains, and injuries. Maintaining these steps will keep you in proper form and running efficiently. The way you hold your HEAD is key to your overall posture. Make sure you aren’t looking upwards, or down at your feet. You should be looking a few feet in front of you, or scanning the horizon. Otherwise you will strain your neck and back and it will cause a kink in your overall body alignment. Having relaxed SHOULDERS will help keep your neck and back straight. For optimum performance, your shoulders should be low and relaxed, not high and tight by your ears. Sometimes runners don’t even realize that their shoulders have slowly made their way up by their ears sometimes causing a headache or neck ache. Every once in a while take a nice deep breath, when you exhale bring your shoulders back down to a relaxed level. Keeping your shoulders and head straight it promotes a straight posture. 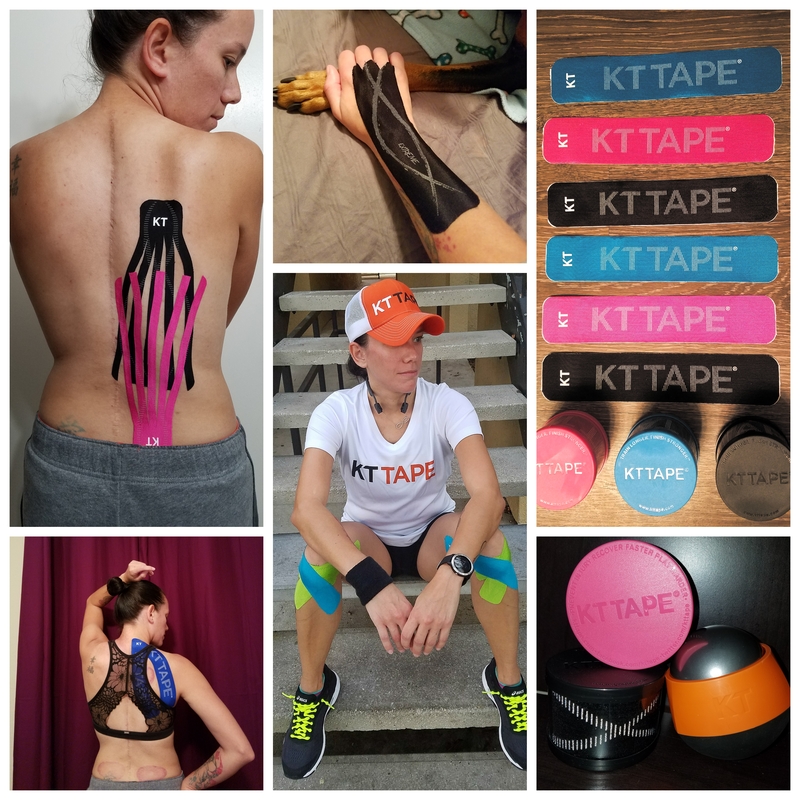 Helps you run safer, keeps you breathing easier, and running more efficiently. Hunching over and forward, will cause your breathing to become harder, and will put pressure on your lower back causing pain. Where you have your ARMS matters, they control the tension in your upper body. Our body makes our arms swing in conjunction with our forward leg movement. Our arms should be swinging straight forward and back, not crossing across the torso. If you cross your chest with your arm swings it will use up energy, makes your muscles tired, and prevents you from moving forward at a good speed. Since you are keeping your shoulders down, your arms should be swinging at waist level. Your elbows should at about a 90 degree angle, your hands should be a slightly opened fists. Pretend that you are carrying eggs in your hands keeping them from breaking. Keeping your TORSO nice and tall will help keep your upper body aligned and straight. Take a deep breath to readjust your body and make sure you are running comfortably, nice, and tall. Having a strong core will also help improve your running form. A strong core not only helps pull it all together, but keeps your core(torso) strong. Holding your abs in can help ease any lower back strain you might develop while out running. Engaging your core is KEY to good running. 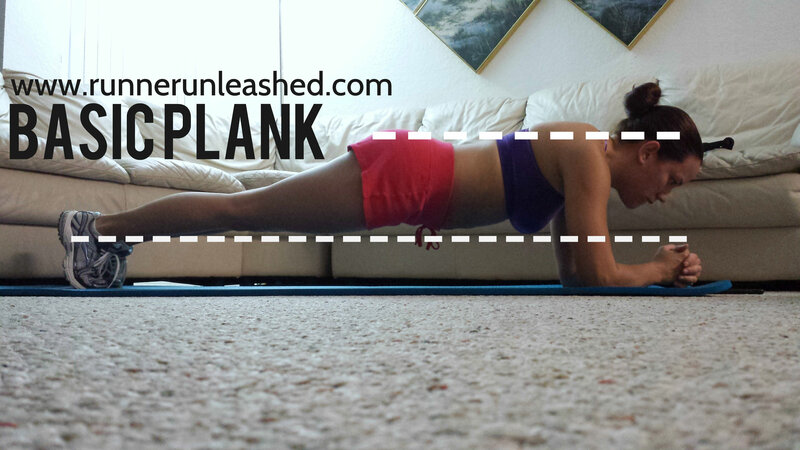 Hopefully you have all seen my core strengthening posts 😉 The easiest and pretty effective core workout are planks. do one everyday and hold it for (1) minute to keep your core good. Your HIPS are your center of gravity. So keeping your torso comfortably straight with then bring in your hips to properly align. If your torso is bent forward, it will cause your pelvis to tilt forward, which can put pressure on your lower back and throw your running form all out of whack. Your STRIDE is the area most common for runners to be guilty of doing wrong. For distance runners, having a little bit of a knee lift, swift leg movement, and a short stride will prove to be very efficient. It keeps you moving forward fluidly without wasting any energy. Having the right stride length, your foot should land right under you. If you step out too far, then you are over striding. Make sure you don’t land on your heels!!! Or else you and shin splints will become great pals! If you run on your toes, you are also asking for some calf pain. Bottom line, having a midfoot strike will save you a lot of pain and energy. Having your FEET land mid foot on the ground is the safest, most effective way of running. It gives you maximum push-off the ground. Keeping your ankles flexed will also help protect your foot from getting injured. If you feel your calf muscle flex with each step, then you are doing it properly =) Make sure you aren’t slamming your foot on the road. Try to have light gentle steps. Having the right biomechanics to run properly will improve your over all performance in a race. It is not something that will happen in one run. But, you can keep all these important points in mind and you can slowly work your way to proper running form. It is possible to be a slouched heel striker and become a running tall, comfortable,midfoot runner! GUILTY! You just have to keep training and keep working hard. All these points will help you and keep you injury free next time you go run. Next Next post: Why Magnesium is good for runners.